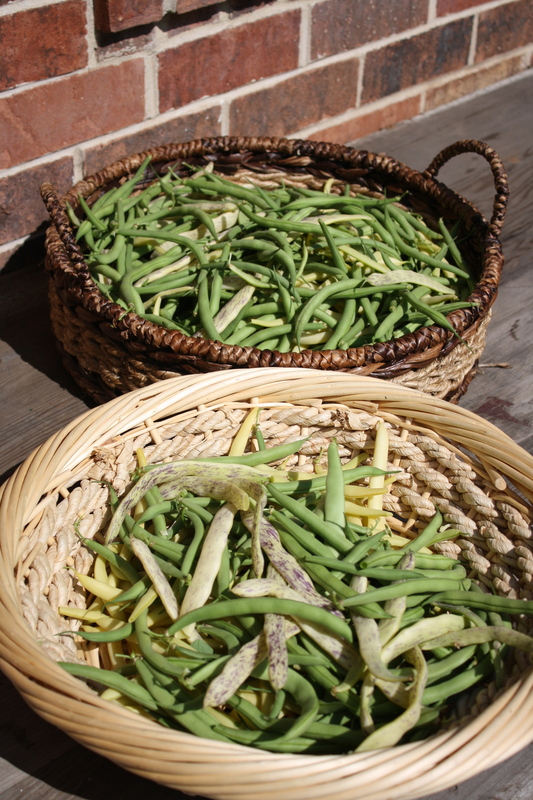 One thing is for sure, we have a LOT of beans coming through our kitchen door these days. So many beans in fact that there is no feasible way to eat them all. 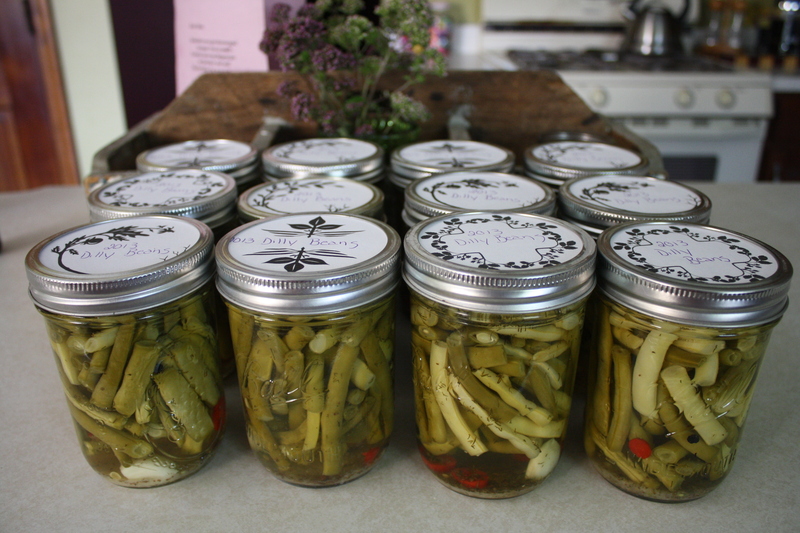 Enter “Operation Dilly Bean.” If you have never eaten a pickled bean, a.k.a. dilly bean, you must make it your duty to eat one this year. 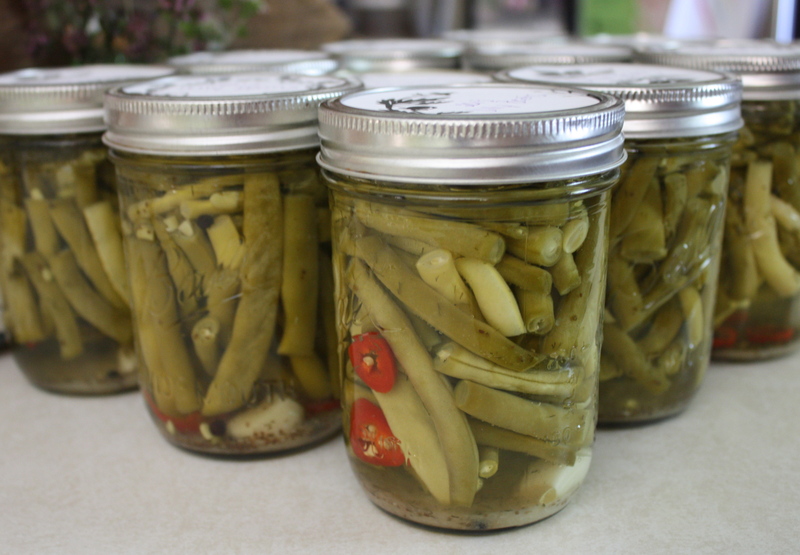 A dilly bean earns a solid ranking in the top 3 list of pickled veg in my book. Yum. 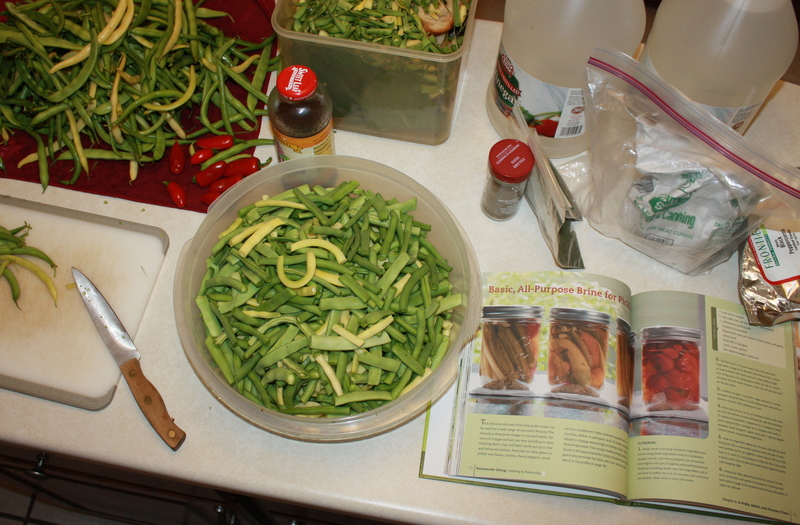 This past Sunday found me hovering over the kitchen island chopping beans and breathing in vinegar fumes, with visions of dilly beans dancing in my head. The past few years I used a dilly bean recipe from this book, but this year I decided to mix things up a bit and try something new. I used the basic pickling recipe from this cookbook, and based on how great Miss English’s other recipes are, I’m sure this one will not disappoint. 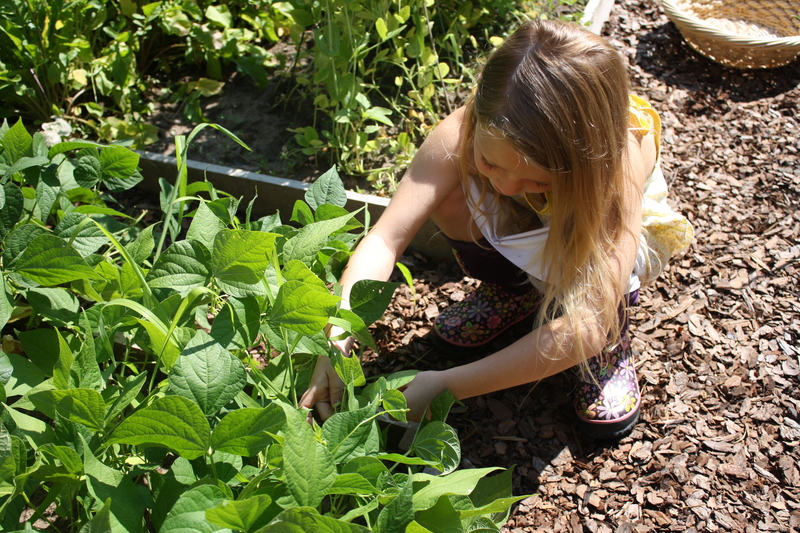 This entry was posted in Gardening, Holistic Living, Putting Food By, Sustainable Living and tagged Ashley English, backyard, canned beans, canning, Canning and Preserving with Ashley English, cooking, dilly beans, DIY, eco friendly, food, food preservation, fresh, garden, gardening, gardens, green beans, growing, harvest, holistic, holistic living, home, homemade, homemaker, homemaking, make, making, mama, mindfulness, mom, mother, organic, pickled beans, pickled green beans, preservation, putting food by, Ruth Hertzberg, sustainable, sustainable living, water bath canning, wax beans. Bookmark the permalink.